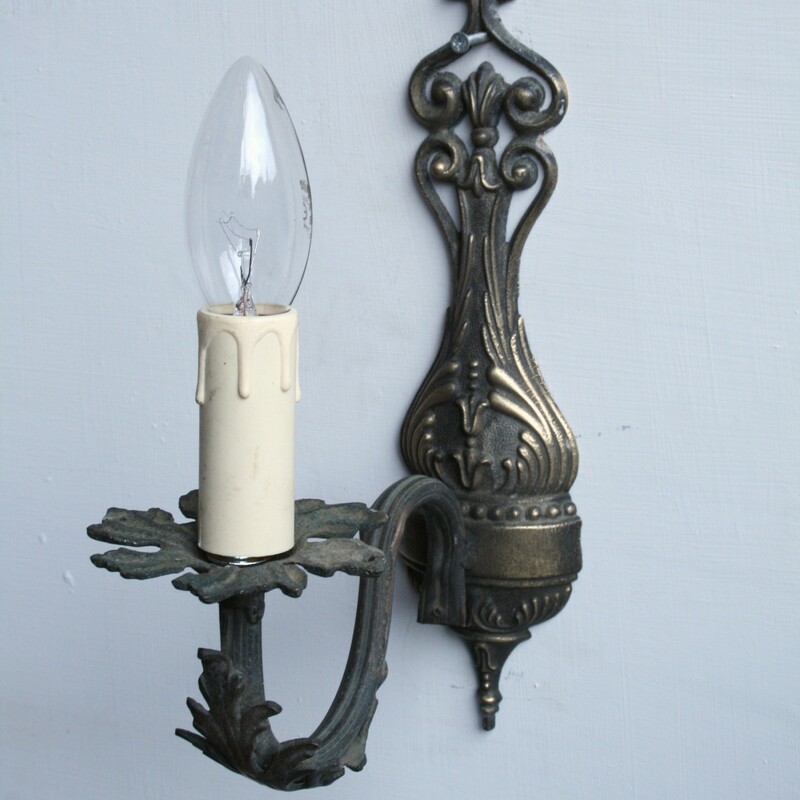 A pair of single wall lights. Darkened bras with highlighted detailing. Droppers could be added to these.